Which Democrat Will Pass the Working Families Test? 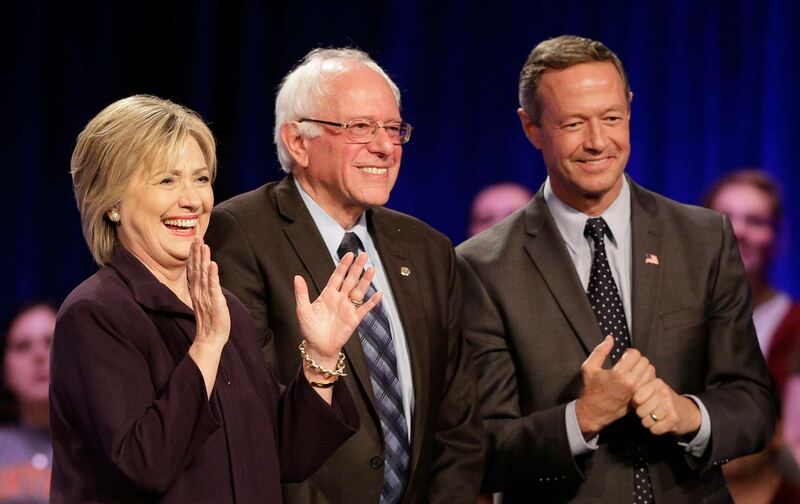 The Working Families Party is asking its members to help decide whom to back for president. Every candidate for president says she or he supports working families. But whom will the Working Families support? That’s a question that will be answered this week by the Working Families Party, in an endorsement process that is designed to give working men and women across the United States more of a say regarding political choices. The WFP is, at once, idealistic and practical. It seeks electoral success, as does any political party; but the measure of that success is not merely made on Election Day. The party endeavors to make elections matter by fighting for a specific program of economic reforms: a living wage, paid sick leave, full funding of public education and public services, progressive taxation that demands the wealthy pay their fair share. It also practices solidarity with trade unions, with immigrant-rights groups, with the #BlackLivesMatter movement, and with climate-justice campaigners. The point of WFP politics is to transform individual cities, states, and, ultimately, the nation—with an eye toward advancing economic and social justice, sustainability, and democracy. The WFP does not simply endorse Democrats. It also challenges them. The WFP made its name in New York City and eventually across New York state, where, over many years and with its share of struggle and controversy, the party has developed a strong political presence. The WFP had helped to elect Democratic mayors, governors, and senators in New York. It even helps elect Democratic presidents; in 2012, Barack Obama won almost 150,000 votes on the Working Families Party line, all of which were aggregated with his Democratic vote under the New York “fusion” law that allows multiple parties to endorse the same candidate and then combine the votes. Yet the WFP does not simply endorse Democrats. It also challenges them, prodding cautious elected officials to move left on a host of economic-, social-, and racial-justice issues. In recent years, the WFP has become a national organization. It has shown strength in a number of states, such as Connecticut, where WFP votes were aggregated with Democratic votes to elect Governor Dan Malloy in 2010—and where the party has become particularly influential in major cities. Epps-Addison gets it right when she refers to the WFP as “people-powered,” as the party’s approach to the 2016 presidential race illustrates. The WFP is preparing to endorse a candidate for the Democratic nomination for president. Because the party is closely aligned with labor, environmental, and community groups in a number of key states, and because it is building grassroots operations in 2016 background states such as Wisconsin, the WFP endorsement is coveted by Hillary Clinton, Bernie Sanders, and Martin O’Malley. That’s the case with every endorsement by every influential group. But what makes the competition for the WFP endorsement distinctive is the process by which it will be decided. The WFP plans to make its endorsement with input from a national membership vote. The voting begins Monday and goes on for a week. At that point, the WFP national board will weigh input from its nine state organizations and four national partners, in combination with the vote results, and make an endorsement. WFP officials expect the formal endorsement to be made sometime next week. I believe we must transform our nation to ensure that life chances are not determined at birth. I believe all Americans deserve a decent, secure life. I believe that we as a people deserve a government that is not owned by the wealthy. I stand against inequality in all its forms—economic, racial, environmental, social. And I stand for the “golden rule”—treating others how I would like to be treated. Finally, I pledge to vote in every election for which I am eligible, to volunteer when I can, and to speak up for justice when I have the opportunity. That’s a fine set of principles on which to base a presidential endorsement, and a presidential campaign.